Pace of Play | Get going and move on | slow golf is not enjoyable! Pace-of-place and playing faster golf is one of the big challenges facing the game of golf today. Imagine, the player-assistant or course ranger shouting at you from his foghorn! “Get going and move faster on the course, you are holding up the whole course!”. This situation would be very embarrassing and should be avoided at all costs. However, golfers can avoid the course ranger situation by ensuring that they play the game quickly. Also, by being aware of what to do before and after each shot played. A lot of time is spent by high handicap golfers hitting the ball to the green, whereas high handicapper are faster putters than a lower handicap golfer. The lower handicap will possibly play fewer shots to the green. But he or she takes more time on the green to complete the hole. So the solution is to be aware of the players that you are with and make up time where possible. In other words, all you can do is be responsible for your own pace of play. Also, encourage others to play faster within your group. The following examples are simple things golfers can do to keep play moving. Golfers moving slowly between shots? Walk faster, it’s healthier! Leaving the bag in the wrong position around the green? Park your golf bag where you will exit the green and walk to the next tee. Players not ready to play? Walk to the ball first and be ready to play when it’s your turn to play. 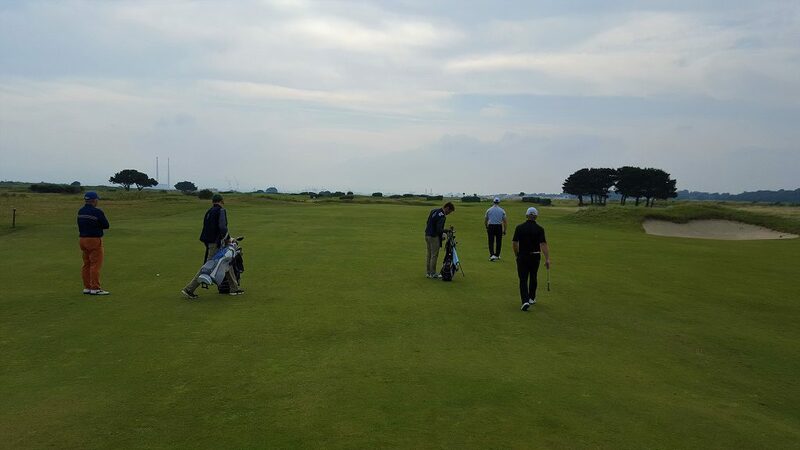 Golfers walking to the other player’s ball and watching the shot played. Each golfer should walk to their ball and be ready to play when it’s their turn to play. Simple tips to help pace-of-play is important for every golf to understand and apply. Enjoy playing faster golf!